Please take a look of the Power Ranges in the Product Description before placing order(s). 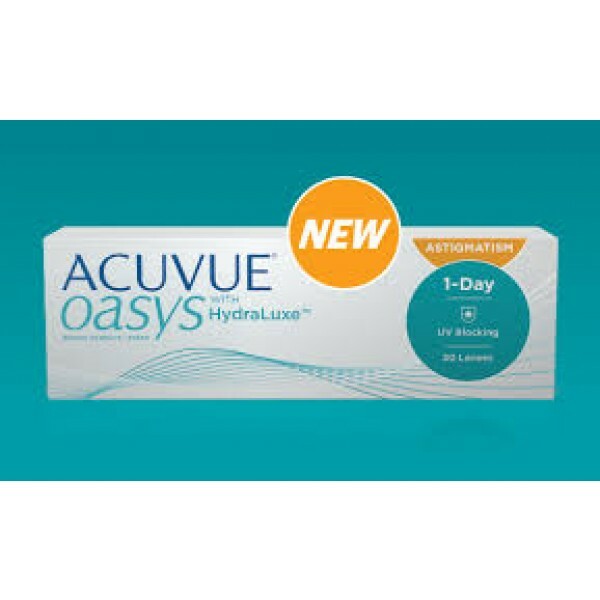 ACUVUE OASYS® 1-Day with HydraLuxe™ Technology is a daily disposable lens for patients who demand high performance and want a daily contact lens that keeps up with their busy life. 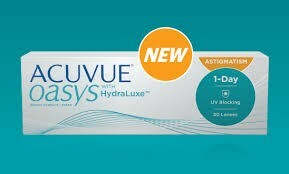 In addition, the EYELID STABILIZED® Design works with natural eyelid movements to help keep the lens in the correct position even with head and eye movements. Offers exceptional comfort. 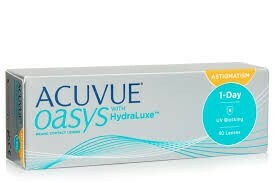 Helps make the feeling of tired eyes a thing of the past. 2260 parameters: 40% more than any other competitive daily disposable brand of contact lenses. 9 out of 10 patients experienced crisp and clear vision all day. 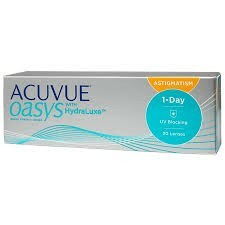 ACUVUE OASYS® 1-Day for ASTIGMATISM offers around the clock coverage where you need it most in low minus, plano to -6.00 D, through -1.75 DC. 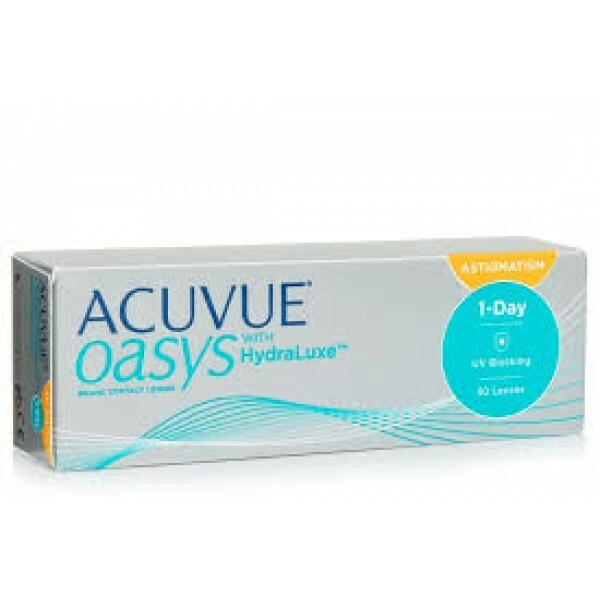 ACUVUE OASYS® Contact Lenses 1-Day with HydraLuxe™ Technology family provide coverage for nearly 96% spherical and astigmatic eyes.